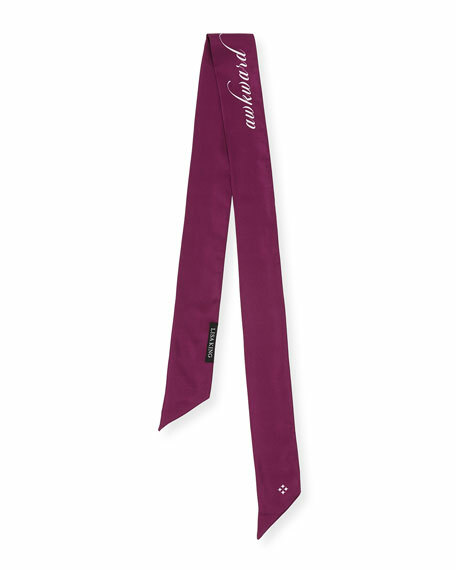 Lisa King "Awkward" skinny scarf in silk twill. 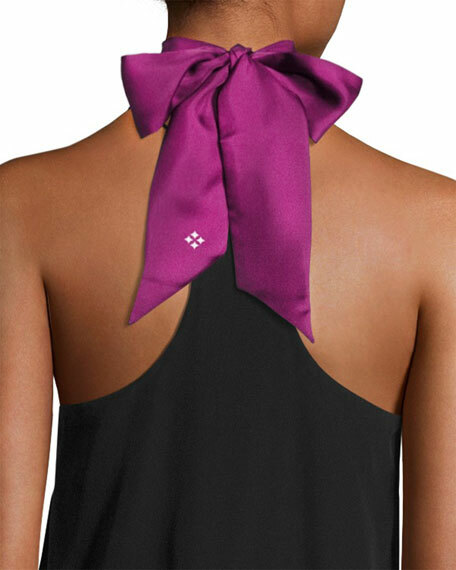 Tie in a bow or loop around neck. Asymmetric ends with signature diamond detail. Part of the series of Lisa King's cheeky statement scarves, Awkward never looked so stylish. For in-store inquiries, use sku #2184040.